Fat Bruce Lee and I had about an hour between daring rescues and touching reunions. The Westwood location of Fatburger was close enough to our offices to warrant entering LA's stream of automotive passive aggression to sample this well-regarded burger and get back to the business of crime-fighting with time to spare. It was a simple process...we ordered at the counter...1/3 pound burger, onion rings, and a drink for 10 bucks. They called our numbers, and we retrieved our food--our so-called food. The Beef: WEAK! The ground Chuck was beyond bland. It was punishingly bland. 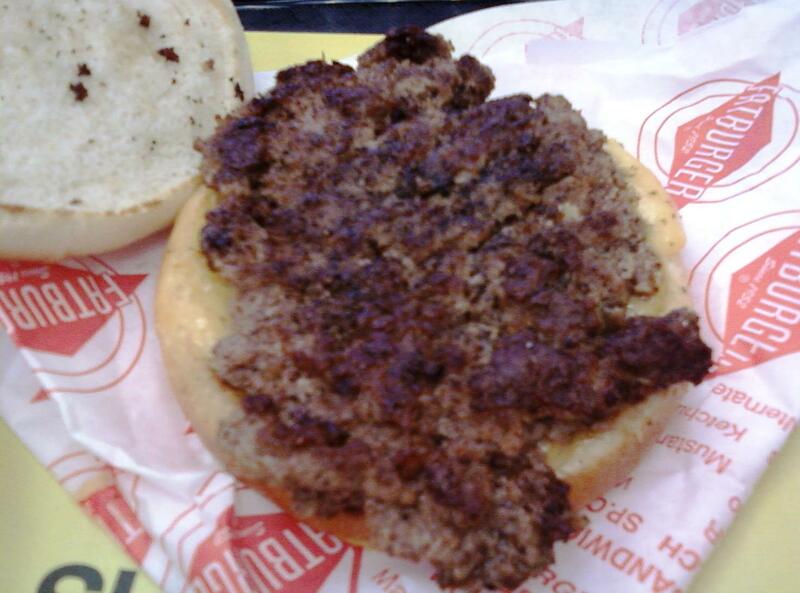 No tastes of aging, beef, umami....nothing--the burger meat was all texture and zero flavor. The Sear: The sear was fantastic. It was crunchy, dark, and even. Sadly, they expertly seared the world's blandest beef, and this resulted in a completely uninteresting sear in terms of flavor. The texture was terrific, though. The Seasoning: They dusted the exterior with something sort of peppery, but they did not use nearly enough to make my cheeseburger taste like anything more than chewy water. The Preparation: Fatburger took thick pucks of medium ground Chuck, smashed them flat, and griddled them hard to a juicy Well-Done on a very hot flat top. The Cheese: The cheese was American, and it was applied to the bottom of the burger. It was nicely melted, but it was completely lost in the blandness of the beef. 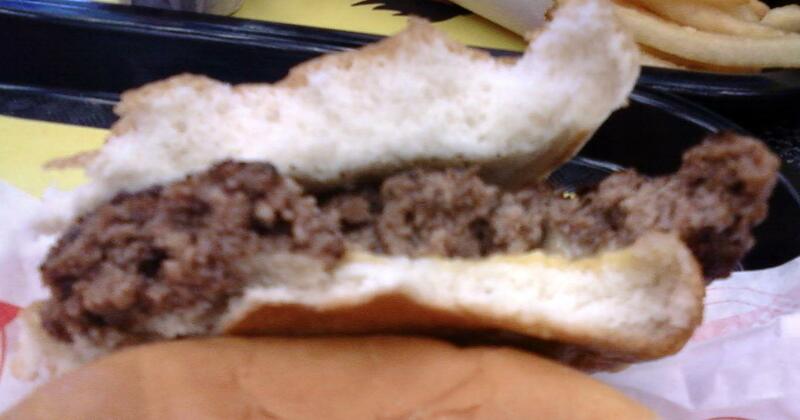 The Bun: This was a standard, non-seeded, barely toasted, bland, flabby hamburger bun. The bun did not overpower the flavors of the beef. The Meat To Bun Ratio: In terms of mouth feel, this was pretty much perfect, but in terms of flavor, I couldn't tell--neither component tasted of anything. 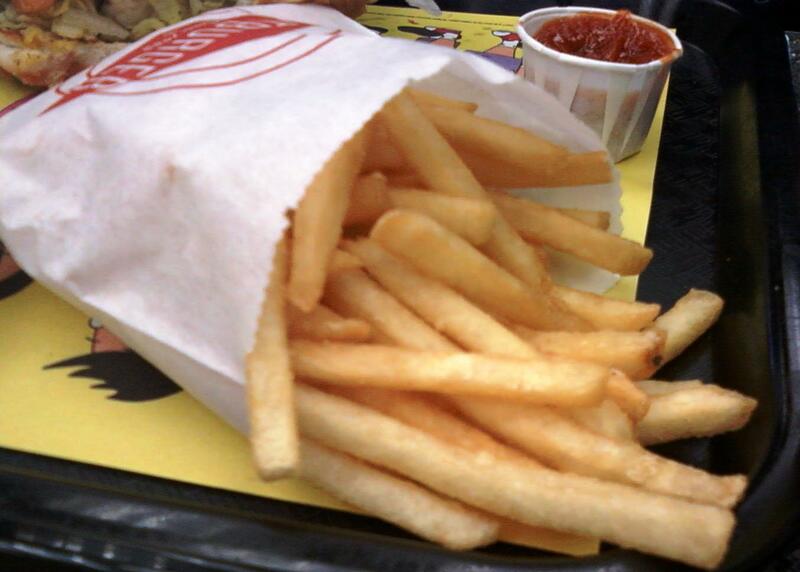 The Fries and Rings: The fries were great--they were crunchy and flavorful. 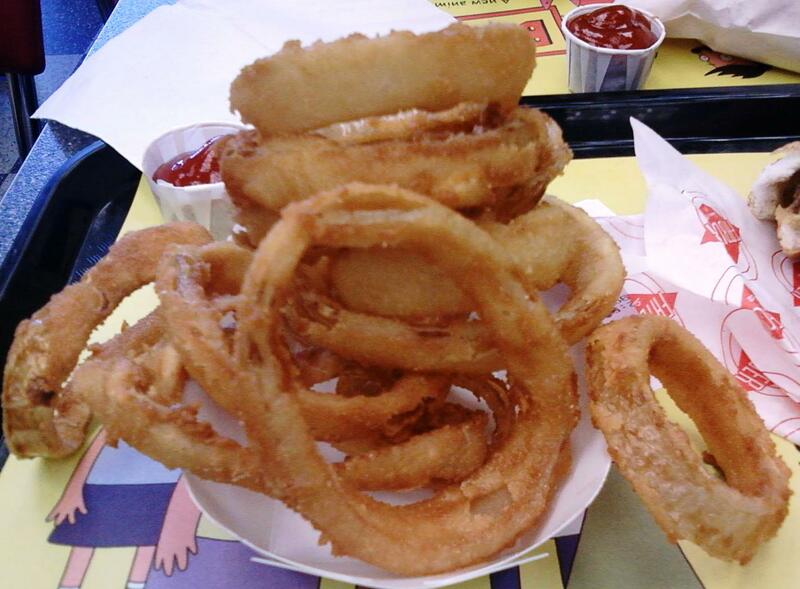 The rings were unforgivably oily. I could not, in good conscience, eat more than two. 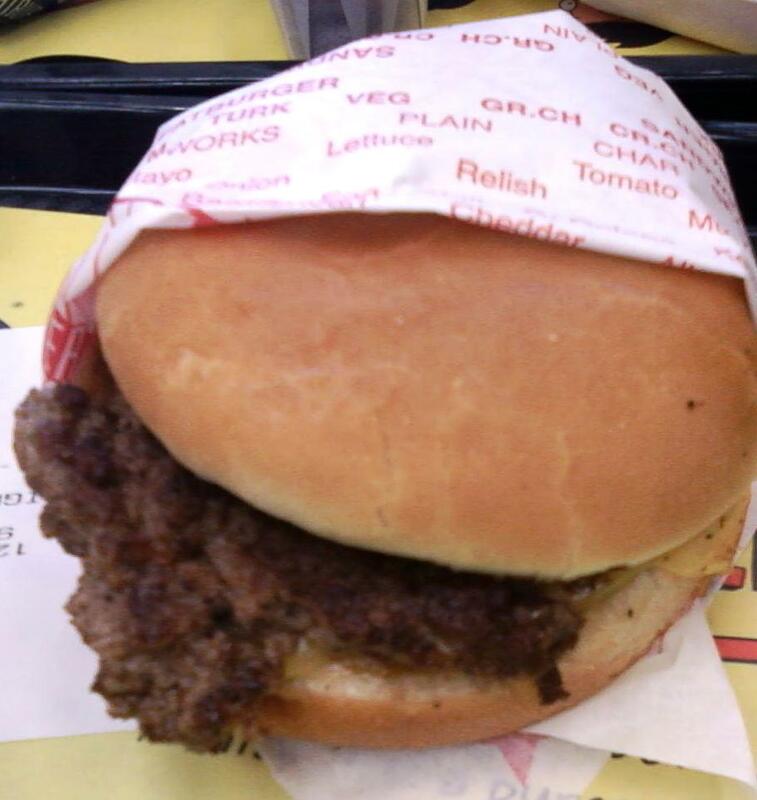 The Value: The value was very poor at Fatburger. The cheeseburgers were miserably bland, and the onion rings were oily beyond belief. Fat Bruce Lee, after a moment of deliberation and consideration of more profane alternatives, settled on "Shartburger" as a more fitting name for this purveyor of weak burgers. Burger Review : Weak...never again.